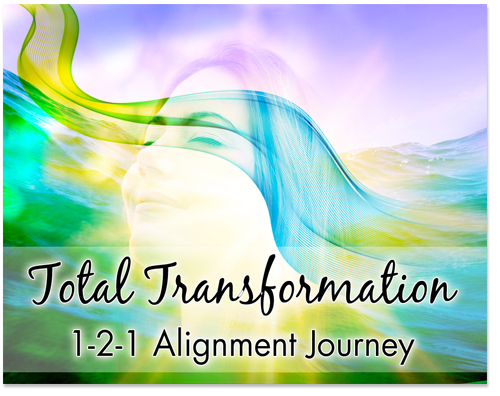 This Total Transformation journey is about creating significant lasting change. It will help you push the boundaries of possibility to create more abundance, love, joy and freedom in your life and work, teach you empowering mindset and energy tools, and develop your trust and belief in your own true power. …Because you know that abundance is your birthright. But maybe you aren’t feeling as abundant and joyful in your life as you know deep inside that you could be? If that’s so, then it means you have some unconscious limiting beliefs and fears silently sabotaging your success. Are frustrated at seeing everyone else make big transformation while you lose out. The truth is, EVERYONE has their own unique collection of unhelpful subconscious patterns that are holding them back from realising their full potential. It’s all part of the ‘Grand Design’ to help us grow into who we were born to be! You may have inherited these patterns from your parents, learned them in childhood, or even picked them up in a past life, and in most cases you don’t even know they’re there! And no matter how hard you work, or how determined and focused you are, you’ll never get all you need to thrive until you clear these subconscious blocks once and for all. However, although we may know how to clear blocks, we are simply not equipped to make these deeper shifts on our own because our small self will prevent us from accessing our more deeply held fears that would bring about the change we desire. Also, many of our abundance blocks are a result of what we chose to experience in this life at a soul-level, so they require deep clearing across multiple times, spaces and dimensions. So if you feel like healing and transforming your inner blocks to restore the flow of abundance to all areas of your life, then this programme might be just what you’re looking for. Three hour deep dive session – access your highest vision and start to clear what’s in the way. 6 x weekly or fortnightly 60 minute 1-2-1 video calls – support and guidance to create momentum and empowerment. Audio recordings of all sessions – practicing the energy processes will deepen integration. This is an intensive journey where you will be deeply and safely supported. You’ll be reminded of your Greatness whenever you fall into self doubt. You’ll learn to break free from the habit patterns of your mind, develop your self-trust, your belief in yourself, and in your knowing that the Universe always has your back. You’ll experience a combination of laser-focused channelled sessions, powerful high frequency healing energy to clear limiting patterns from this and past lives, intuitive guidance, connection with your Higher Self, your spirit guides and inner guidance, and you’ll learn the mindset and energy tools you need to generate significant, positive transformation that will impact your whole life. And if you’re ready and willing to commit to the journey and invest in YOU, a quantum leap into a new way of living and being is possible. Contact me at connect@cathyballard.com to arrange a complimentary 45 minute ‘Possibility Call’ to see if this programme is right for you.